Prosecutors in the German city of Braunschweig have said they are pressing criminal charges against former Volkswagen chief executive Martin Winterkorn in connection with the carmaker's manipulation of diesel emissions testing. 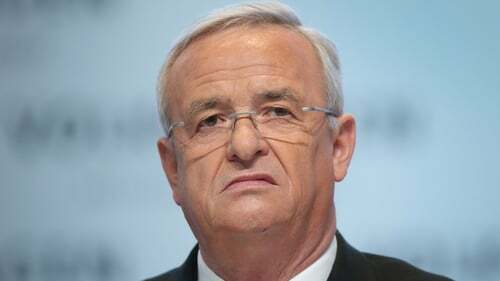 Prosecutors said Winterkorn was accused of a particularly serious case of fraud, breach of trust and breaching competition laws because he had not acted - despite having a special responsibility to do so as the company's CEO - after it became clear on 25 May 2014, that diesel engines had been manipulated. About a year ago, the United States filed criminal charges against Mr Winterkorn, accusing him of conspiring to cover up the German automaker's diesel emissions cheating. In a related case, the US Securities and Exchange Commission sued Mr Winterkorn last month, saying US investors were informed too late about the German automaker's diesel emissions scandal, alleging a "massive fraud".